The City of Saskatoon is hoping a new pilot project will ease problems with dangerous glass items that get thrown into the blue bins. 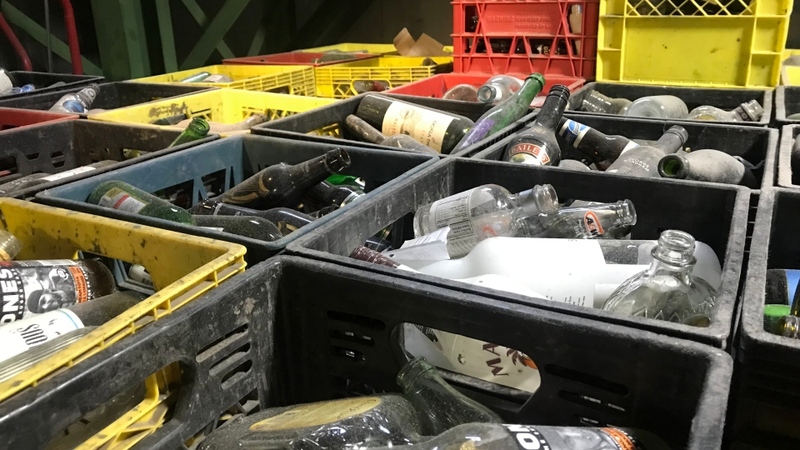 About 90 per cent of the glass that gets put into the blue bins is broken by the time it reaches the sorting machine, the city says. That means it can’t be recycled and is taken to the landfill. 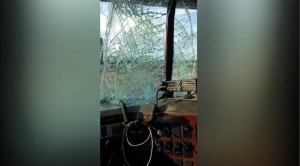 “It does end up on our clothing, in our boots and when we get rid of our coveralls at the end of the day of course it will fly and it will get stuck to your clothes and of course you take that home," Loraas equipment operator Angele Proulx told CTV News. Residents are now asked to bring glass items such as pickle jars, jam jars and olive oil bottles to Sarcan depots with their beverage containers. There is no cash reimbursement for these glass items. Only glass containers that are completely intact can be recycled. If they are shattered, the pieces become contaminated and can’t be used. The broken glass also causes problems for the equipment if small shards of glass gets stuck. The conveyor can be shut down potentially for days if the pieces get into the mechanism that run the belt. Sarcan doesn’t accept any dirty glass, drinking glasses or cooking dishes like Pyrex. More information is available at sarcan.ca or at saskatoon.ca/blue-cart-recycling.